This is a shield-shaped Husky Service porcelain sign. This particular Husky Service sign is very colorful. 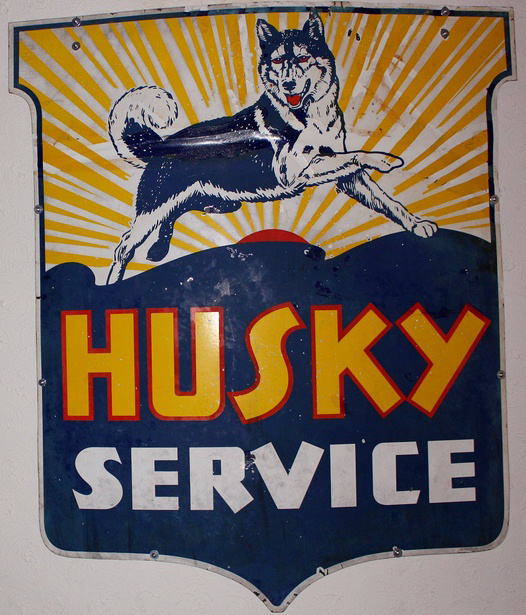 It reads, “Husky Service” in yellow and white and features a blue and white husky leaping over an orange setting sun.